Spectacular graphics &acirc; Explore vivid game worlds with rich visuals heightened by PS4 Pro. Enhanced gameplay &acirc; Support for faster frame rates delivers super-sharp action for select PS4 games. One unified gaming community &acirc; Compatible with every PS4 game. Play online with other PS4 players with PlayStation Plus. Extraordinary entertainment &acirc; With up to 4K streaming and 4K auto-upscaling for video content. Model number 3002470. Spectacular graphics â Explore vivid game worlds with rich visuals heightened by PS4 Pro. Enhanced gameplay â Support for faster frame rates delivers super-sharp action for select PS4 games. One unified gaming community â Compatible with every PS4 game. Play online with other PS4 players with PlayStation Plus. Extraordinary entertainment â With up to 4K streaming and 4K auto-upscaling for video content. Model number 3002470. PS4 Pro 1TB. Model number 3002470. First of all; if you really want the full effect of playing mods you need a gaming pc, if you just want a console that can use external assets you want the Xbox (but I wouldn't waste my money, I would wait for the Scorpio to come out in 2017). That's the only thing about sony is they don't allow external assets, but I still enjoy playing on their systems. The pro upscales to show excellent graphics and picture on my games. It also runs a lot smoother than my ps4 did. I have a whole lot less lag, and what seems like to me a higher frame rate, on games like fallout 4 and elder scrolls games. I don't know for sure about the fps, I don't have anyway to test that, but it definitely runs a lot smoother with more going on at one time. Games like Skyrim Remastered are just stunning by the way, but not assassins creed. The disc runs quieter in the system as well. Its still a very new system, so I'm sure there will be more good things to say about it as the new games of 2017 come out. 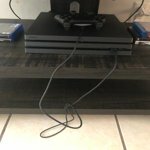 If your looking to buy a PS4 and don't own one yet the PS4 Pro is for you. If you already own a PS4 and want to upgrade, Transferring all your memory from the PS4 to the PS4 Pro is a breeze. Playing Watchdogs 2, Uncharted 4 and Dishonored 2 in 4K or "Upscale" looks really good. As a PC gamer other than the fps differences between console and PC, The PS4 Pro looks pretty good. 10/10 for new buyers or people just looking for an upgrade. I've not owned a major console for over seven years, after my Xbox 360 died. I'd following along with game web sites, but nothing ever pulled me back in, until now. Sure I had a Nintendo 3DS, or my phone, but I finally decided it was time for more intense games. The playstation 4 (Pro) now has a large enough back catalog of games and with new "Boost Mode" on the Pro, I decided to get into gaming once more. 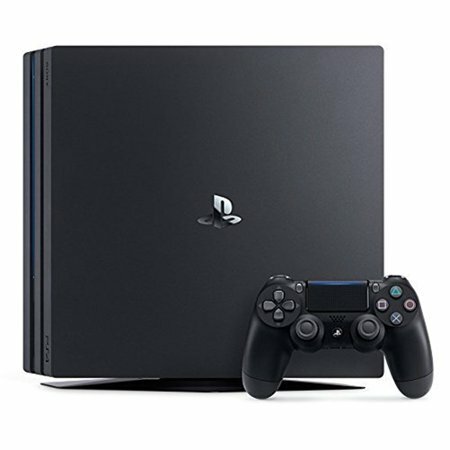 I choose the PS4 PRO, figuring it would give me plenty of games to play. If you're considering a Playstation 4, I suggest a Pro, is you can afford it. Love it, the 4K is awesome! Definitely worth uprgrading if you own a 4K TV. If you have a VR, it Makes it Look a lot clearer too. Works awesome and absolutely love It. We opened it the minute it came and started it right up with no issues. Have been playing daily with it between myself, husband, and my kids and we are all happy with it. The picture quality of games and movies, shows, ect are amazing. I was hesitant to get it at first and am so glad I did.